Press Release: The City of Burlington is celebrating National Seniors’ Day on Monday, Oct. 1 to honour older adults who make a difference in our families, workplaces and communities. On this day, all City of Burlington drop-in programs are free for participants aged 55 years and older. At Tyandaga Golf Course, two can play for the price of one for the day. Special thanks to community partners, including: Bayshore Home Health, Burloak Senior Support, La Salle Park Retirement Community, Revera Retirement Living and the Lions Club of Burlington. The community partners will be at the various facilities with information on services, free refreshments and giveaways. 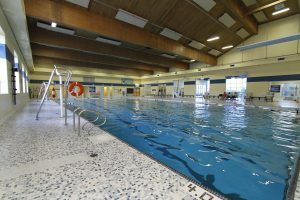 Older adults are encouraged to visit any of the locations listed below between 9 a.m. and noon to meet community partners and be entered for the chance to win one of two Burlington Seniors’ memberships and one of two Parks and Recreation $25 gift cards. For more information about National Seniors’ Day and Adults 55+ programs in Burlington, visit burlington.ca/adult55. To view a complete listing of free drop-in programs, please visit burlington.ca/dropinandplay. National Seniors’ Day is an initiative of the Government of Canada, founded to appreciate and celebrate older adults. Ensuring Burlington is an age-friendly city is a commitment Burlington City Council made in the city’s 25-year Strategic Plan. Under the A City that Grows direction, the city committed to developing an age-friendly strategy that supports aging in place. 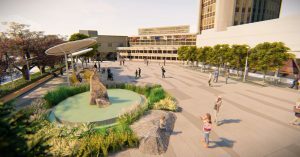 Ensuring sufficient Adults 55+ space for recreation and social activities is provided throughout the city is part of the plan. 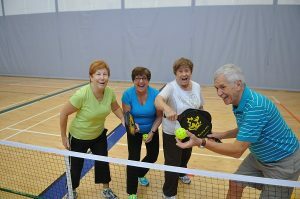 Read Burlington’s Active Aging Plan. Marianne, the link to “burlington.ca/dropinandplay” takes me to a City of Burlington Web – Outlook App. You are required to login with an emaill address and password. I am not a subscriber. What now? National Seniors Day, wow, I’m down away!!! The government of Canada & the City of Burlington have chosen to recognize seniors on a special day. What about the other 364 days of the year? I’m 75 & have paid taxes all my life & every year all forms of government are STILL putting their hands in my pockets wanting more. So, my take is do away with this stupid Seniors Day crap because it means NOTHING. If you want to do something give seniors FREE transportation like they do in Britain, but of course that would never fly would it because governments in this country are money grubbing entities & nothing more.